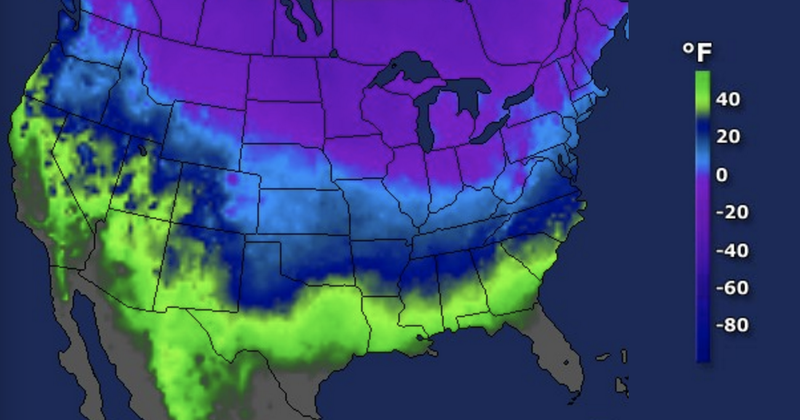 A huge expanse of cold, Arctic air is sweeping through parts of Canada and the United States. Known as a “polar vortex,” the weather system is expected to deliver record-setting low temperatures and a particularly nasty wind chill. This visualization was made from data collected by the Atmospheric Infrared Sounder (AIRS) instrument onboard NASA’s Aqua satellite, and it shows temperature data in the infrared spectrum. From December 1 to 11, AIRS tracked the cold snap as it swept across North America. On December 7, the polar vortex had descended into the Plains states and reached Colorado, Kansas, and Missouri. The cold air continued to make its way from west to east, reaching into the Ohio Valley and New England on December 9. These regions are now feeling the brunt of this cold air mass, which is expected to deliver frigid record-setting temperatures this week. Subzero temperatures are expected across the Upper Midwest today and tomorrow. By Thursday morning, Minnesota, Wisconsin, parts of the Dakotas, and Chicago are set to feel wind chills colder than -20 degrees F (-29 degrees C). Records for cold temperatures are also expected in northern Illinois, Michigan, Ohio, Kentucky, and West Virginia. Parts of Canada are also bracing for the big chill, including Manitoba and Ontario. New England and parts of the US East Coast can expect the cold temperatures to hit hard on Thursday and Friday, with wind chills ending up in the -10 to -25 degrees F range. 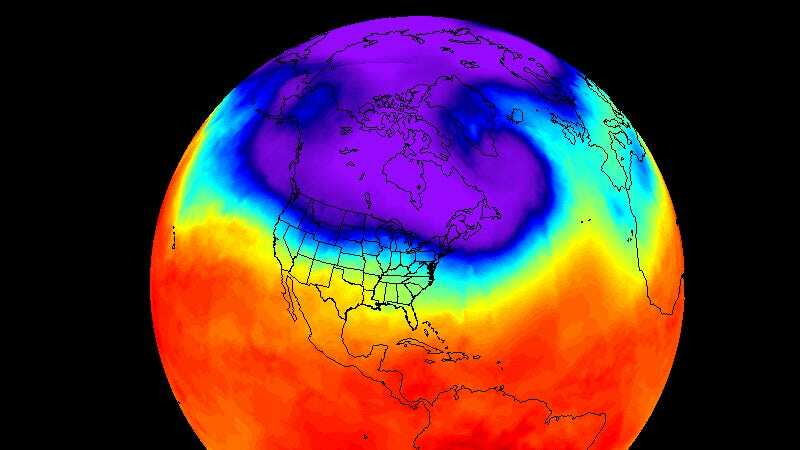 It sounds dramatic, but the polar vortex is nothing new. It’s a fundamental feature of our atmosphere, and an indelible component of our planet’s “global circulation.” This circulation serves as the Earth’s heat pump, moving extra energy from the tropics towards the poles, which keeps the planet’s temperatures in relative balance. The last time a major polar vortex event occurred was in January 2014, when the system delivered record low temperatures across much of North America.